Can Russia’s Pantsir Air-Defense System Handle Drone Swarms? In November 2018, Viktor Murakhovsky, a writer for the Russian publication Arsenal of the Fatherland, posted a comment regarding the performance of Russia’s Pantsir S-1 air-defense system. The Pantsir-S1 is a truck-mounted short-range air defense system, or SHORADS, combining both surface-to-air missiles and rapid-firing 30-millimeter anti-aircraft cannons. SHORADS protect front-line troops and key military bases from low-flying jets, helicopters and incoming missiles. As inexpensive drones have entered widespread use with both military and insurgent actors across the globe, SHORADS have grown in importance. 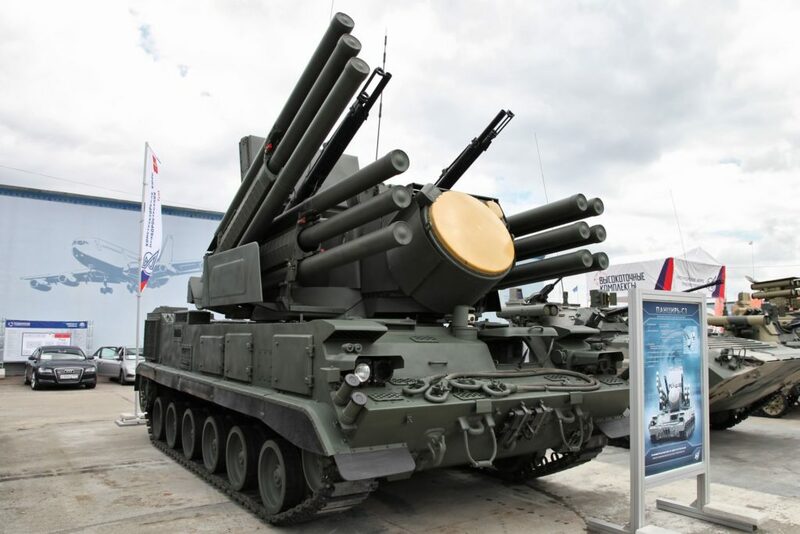 But the anonymous source Murakhovsky cited claimed the Pantsir performed poorly against drones compared to the older and more expensive Tor-M2U missile system. It’s unclear whether the source’s claims are true. “Murakhovsky was responding to an article that was likely planted by manufacturers of Tor,” Michael Kofman, a Russian military expert at the Center of Naval Analysis, told War Is Boring in an email. Despite similar performance parameters, the Tor and Pantsir usually serve in different roles. The Tor, built by the state-owned firm Almaz-Antey, primarily functions as a forward air-defense asset for Russian ground forces. For this reason, the Tor-M2U—a recent modernization of a system that first deployed in the 1980s—is based on a 37-ton armored, tracked chassis and can acquire targets while on the move … and simultaneously engage up to four aircraft after stopping for three to five seconds to engage its vertical cold-launch system. Meanwhile, the Pantsir-S1 is based on an unarmored eight-by-eight truck chassis. It primarily operates with the Russian air force in static missions defending bases and weapons installations. This includes protecting S-400 long-range surface-to-air missile batteries from incoming radar-homing missiles such as the United States’ AGM-88 HARM. The Pantsir boasts a passive electro-optical guidance channel in addition to radar-guidance. Its 12 57E6 missiles have a slightly longer engagement range of 20 kilometers. At $15 million per unit, it’s cheaper than the Tos is. The Pantsir already had a mixed combat record in Syria. The Syrian military began receiving the first of 40 Pantsirs in 2007, but like the rest of Syrian air defenses, the Pantsirs have had little success in shooting down Israeli warplanes during their frequent raids. In May 14 2018, a Pantsir reportedly was destroyed by an Israeli Spike missile. Russian media murkily claimed the unfortunate Pantsir was inactive, or had somehow expended all of its missiles. A Syrian Pantsir apparently shot down a Turkish RF-4 Phantom in 2012. 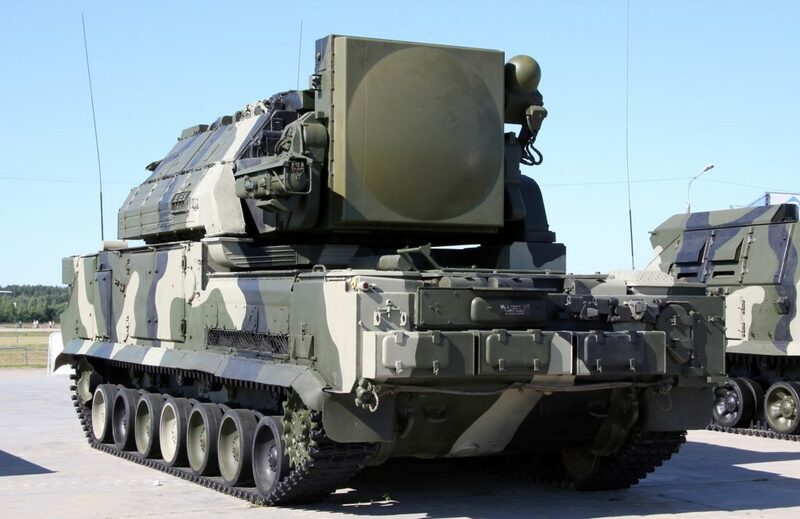 Russia has deployed its own Pantsirs to protect its aircraft and personnel at Hmeimim air base in Syria, and the Pantsir’s manufacturer has claimed the systems shot down incoming rocket artillery as well as numerous drones operated by the United States, Turkey, and Syrian rebels. On Jan. 6, 2018 the Pantsirs at Hmeimim engaged a swarm of 13 kamikaze drones deployed by Syrian rebels, shooting down seven. Electronic warfare assets reportedly disabled another six. In April 2018 Russia reinforced the Pantsirs at Hmeimim with Tor-M2U systems. Murakhovksy’s anonymous source suggests an explanation. Though to be fair, this was not the Tor’s first-ever deployment in Syria. Using Tor or Pantsir missiles to take out crude drones seems like an expensive way to do business, with the missiles costing many times more than the drones do. I suppose that could be weighed against the cost of the potential damage avoided but still. The article doesn't make it clear but I wonder if the Pantsir shot any drones down using its 30mm guns, a far cheaper proposition.